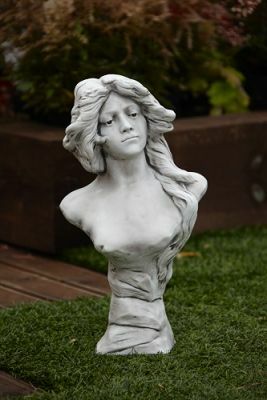 French Girl Bust high definition statue will look great in any garden/business etc. As with all our designs this statue is made from solid cast stone and comes aged antique finish. French Girl Bust stands 45cm heigh and weighs 11KG. Guaranteed Quality item will give years of pleasure. All items made in the UK.